Rick ♥ Evelyn - "Forever And For Always"
The Mummy: Rick & Evie: "Keep Holding On"
Did anda find Beni hilarious atau rather irritating? kegemaran female out of all of The Mummy trilogy? Which is your kegemaran quote from Mummy 2? pilihan peminat: "Honey, what are anda doing? These guys don't use doors!" Do anda think that Rachel played better in the first atau the saat movie? "THE MUMMY", the 1999 remake of the 1932 horror film proved to be a major success for filmmaker Stephen Sommers and Universal Studios. Two years later, both the director and the studio reunited its major stars for a sequel set a decade later. In doing so, Sommers and Universal created a four-movie franchise. As a rule, I dislike horror Filem atau thrillers very much. Not only do I dislike today’s slasher films, I am NOT a peminat of the old horror classics that feature actors like Bela Lugosi, Lon Chaney, Lon Chaney Jr., and Boris Karloff. In other words, the slasher films disgust me and the old horror classics tend to creep me out. a question telah ditambah: How accurate is this movie to real Egyptian history and lore? 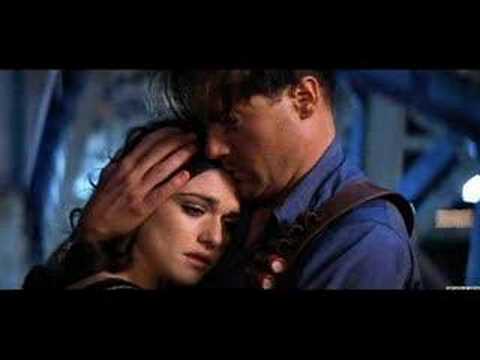 a video telah ditambah: Rick ♥ Evelyn - "Forever And For Always"
a video telah ditambah: The Mummy: Rick & Evie: "Keep Holding On"
I would say anda have heat stroke. I am a stranger traveling from the north, I am lost. I am a stranger heading from the west it is I whom anda seek. I am a stranger traveling from the west, I am that which is lost.